Ready to sell your gold? Let’s get started, Post My Gold’s safe and secure postal service is as easy as 1-2-3! Fill in the contact form with your full name, email address, contact telephone number and your full postal address. We’ll send you your FREE Gold Pack including a fully insured, pre-paid envelope. Follow the clear instructions on your FREE Gold Pack. Send us your unwanted or broken gold, platinum, palladium or silver for a free valuation. Our pre-paid envelope comes with Royal Mail postal insurance, so you can send us your gold with complete peace of mind. 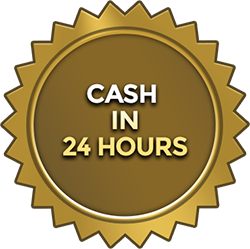 Our expert team will value your gold and give you the best possible cash offer within 24 hours. If you accept our offer, we’ll pay you promptly by bank transfer. If you decline, or simply decide to keep your gold, we’ll return your gold to you safely and free of charge! It really is that simple. Get the best prices on the market from a company you can trust. Get paid safely and securely, or we’ll return your gold without risk or hassle. Whether you are looking to sell gold jewellery, gold watches, or gold coins – we offer the best prices on the market. If you’re looking to de-clutter your home or make some extra cash from unwanted jewellery, our service couldn’t be easier. Our service is easy, fast, and secure for your peace of mind. See how much you could make, try our Gold Value Calculator for a Quick Estimate!